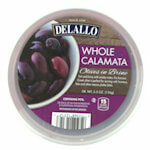 These organic Kalamata olives are a great snack, and a staple in a Greek salad . 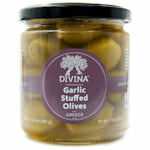 This large, purple, almost black olives, are delightfully fruity and full-bodied. They are grown in Greece's Peloponnese Peninsula. 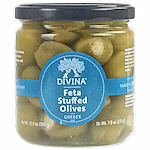 Try them in your pasta, soup or on your pizza. 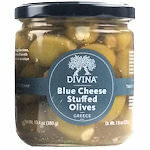 The flavor of this olive also does well with cheese and pate. 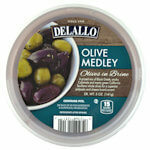 Ingredients: Organic kalamata olives, water, organic red wine vinegar, sea salt.